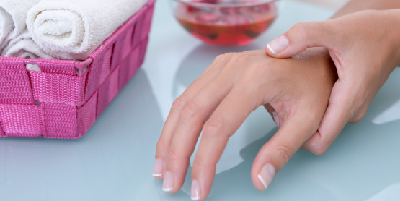 Take time to thank your hands and feet for all they do with a deeply nourishing hand and foot treatment. Your hands and feet are immersed in warm, aromatherapy water followed by an exfoliating scrub. They are deeply hydrated with organic, aromatherapy products with therapeutic properties to balance your mind, body and spirit. Your hands and feet have never felt so good. They will thank you! A carefully selected combination of restorative oils deeply nourishes rough, dry hands leaving them soft, smooth and comfortable. Your hands are immersed in a warm, aromatic soak of fragrant aromatic essential oils chosen to ease stress and refresh the mind. A natural and hydrating scrub then prepares the hands. Using Swedish style massage techniques, the lower arms are layered in hydrating gel and deeply nourishing oils and creams. Hands and arms feel smooth, soft and deeply moisturized. A carefully selected combination of restorative oils soften and smooth out of condition, dry feet. A carefully selected combination of restorative oils deeply nourishes rough, dry feet to leave them feeling soft, smooth and comfortable. 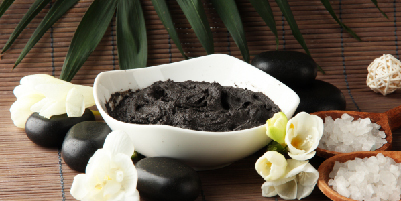 A natural, hydrating scrub exfoliates dead skin cells and prepares the skin for the treat to follow. A hydrating gel is applied. Layers of oils and creams are then massaged into the skin to deeply nourish. To experience the ultimate hydration, upgrade your hand or foot treatment with a nourishing white clay mud mask. With hydrating mask applied to the hands and feet.